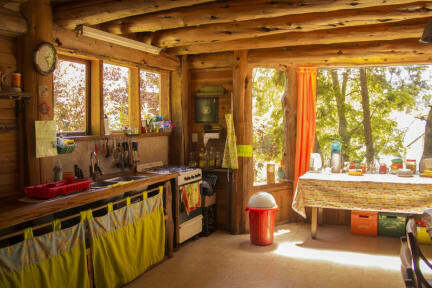 Our hostel is nestled right in the beautiful nature that Bariloche has to offer. If you are interested in hiking and other outdoor activities, this is right where you want to be! You'll be able to access some of the best hiking in the area by foot, including Cerro Campanario. Fortaleza provides a charming get-away with a relaxing atmosphere. We are an easy 20 minute bus ride from the center, with busses that run 24/7, so you'll always have access. Those that have plans to party every night might consider staying somewhere closer to the city center, while those that are here to experience nature should look no further. 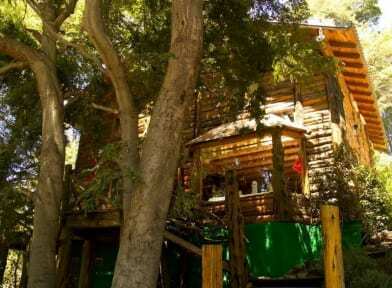 kinds of advice and services to make the best of your experience in San Carlos de Bariloche. We have 1 Double Private Room, 1 Double private Room(only shared bathroom), 4 rooms with 4 - 6 beds and a shared bathroom. Common room with TV, DVD, Kitchen and BBQ are just some of our facilities. We can also organise many tours from Fortaleza like: traditional tours of tourism, we offer many maps to know the zoneround.